Every Indian woman loves her sarees, especially the beautiful designer ones which are embellished with borders or ‘gottapattis’, mirror work, beads, but they seem very expensive and out of reach for the average woman. It is not necessary that one has to spend a big fortune to have a designer saree, there are so many ways that one can design their very own designer saree at home. Here are some ways that you can design your own designer saree at home and stand-out among the crowd at any festival or occasion. Nowadays there are so many ways to design a saree at home, and one of the simplest way that you can do it yourself is by adding saree borders. 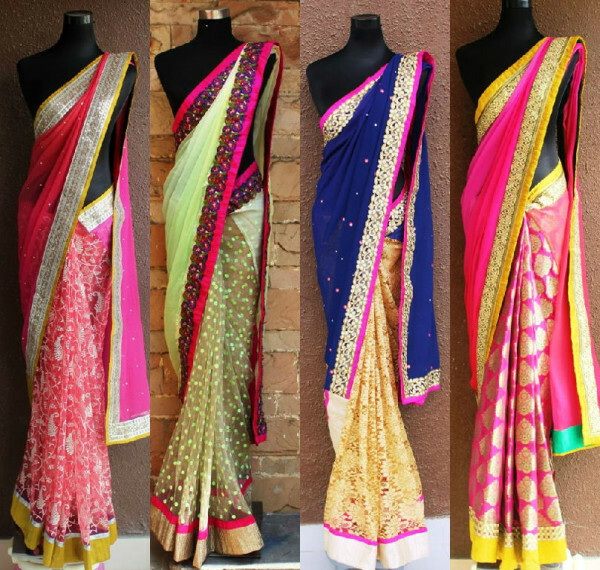 You will need a plain saree and you will need to purchase saree borders that are plenty available in the shops. You can select a contrast colour border to the saree colour and stitch it onto the saree border and also the blouse sleeves. 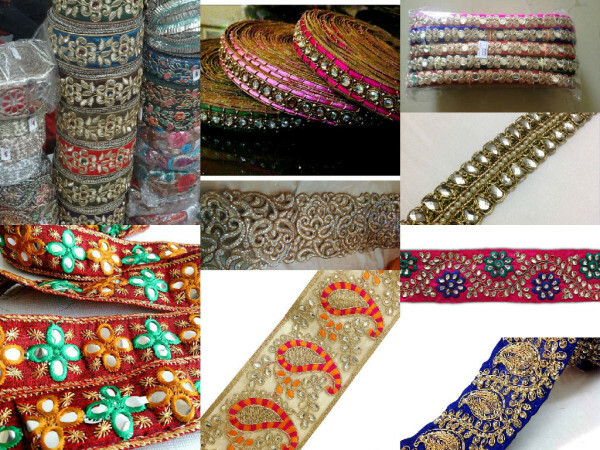 The borders available are in velvet, wire work border, pearl, kundan work border, mirror work or anything else as well. A variety of lace and designer borders are available in local stores and online. 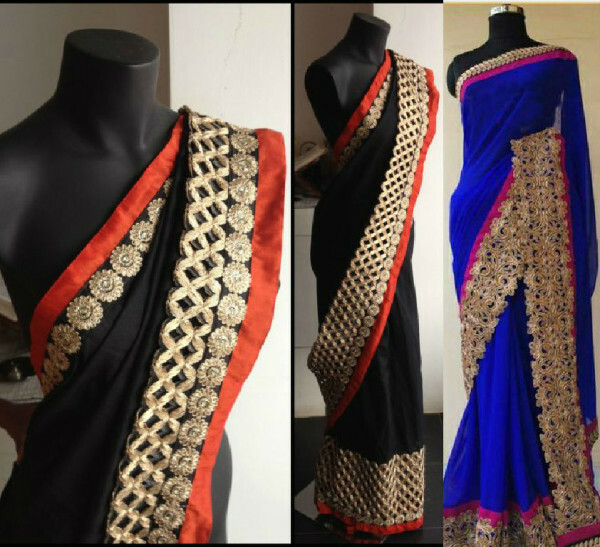 Designing your saree can be so simple and easy by adding beautiful embellishments to it. 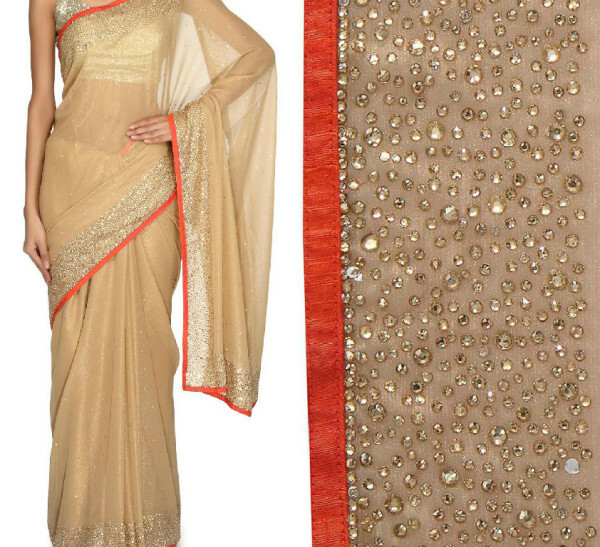 Brightening up a plain saree by adding zardosi work, mirror or kundan work to it has never been so easy. One can change their look instantly by adding patches to their saree or by gluing sequins or mirror work on the palluor along the border of the saree and transform it completely. Adding patchwork or embellishment is not difficult and it surely can be done by you sitting at home. 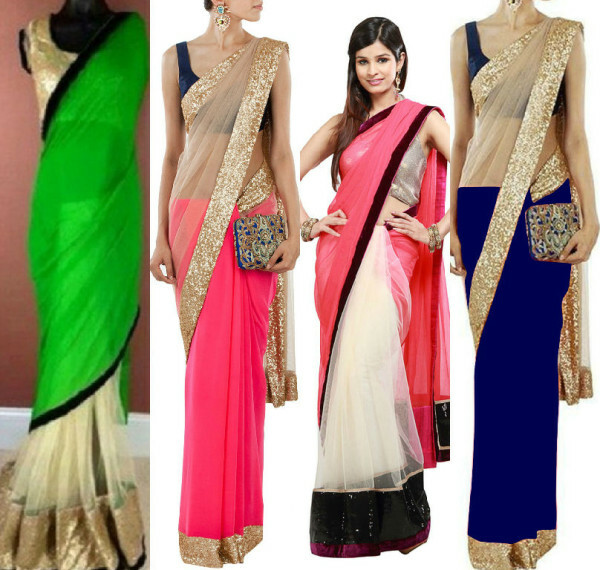 A plain saree can be completely transformed to look like a designer one and is guaranteed to increase you on the style quotient without spending a fortune. 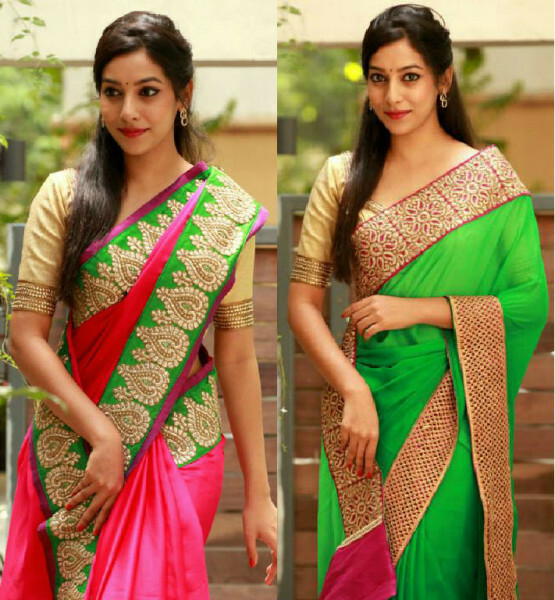 If you want to completely transform a plain saree sitting at home, then just pick a trim floral border in a contrast colour to the saree, and stich it onto the border of the saree. 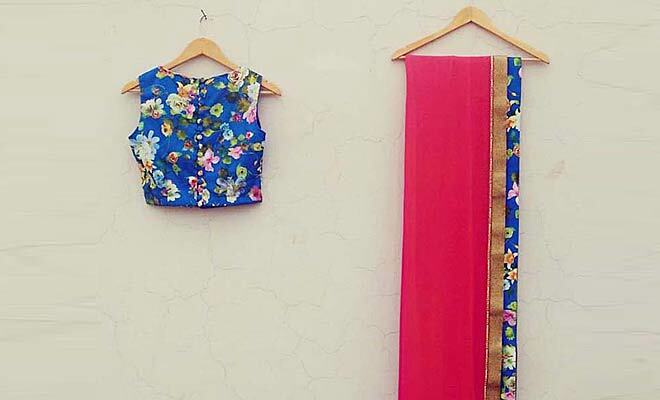 You can also stitch the blouse with the same floral material and this way it will make your saree look modern and chic. A very chic and unique styling noticed among Bollywood heroines is the way they are using brooches and chains to glam up simple sarees instantly. It is a very simple way to instantly design a saree, with embellishments like saree brooches and beautiful chains made of pearls and metal chains. A brocade blouse can instantly glam up a plain saree and do wonders for any saree. So stitch a nice brocade blouse in a contrast colour to your saree and become the centre of attraction everywhere you go! 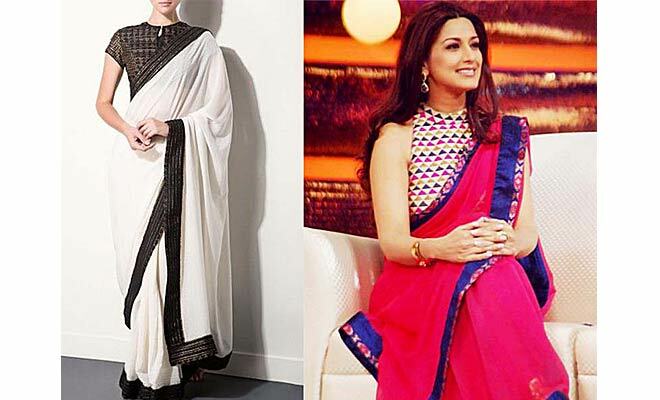 Design your own half and half sarees at home has never been easier. All you need to do is buy two fabrics in different colours and patterns and stitch them together. You can also add lace or sequins borders to glam them up even more and look more beautiful.